The greatest skill I’ve gained is commercial awareness and being able to understand the factors which affect engineering projects. “The BSc (Hons) Civil Engineering course is very engaging as everything which I’m taught has some kind of practical context which brings the theory to life. This not only ensures I understands what I’m being taught but makes it enjoyable. “Every tutor on the course are more than happy to help and meet up if I have any queries. Ruth Osborne, the employability tutor, is extremely helpful and very approachable and was one of the main factors behind me securing a placement. “My placement was with WSP PB in London, which is a leading international design consultancy firm. I was based in a design team which covered all highways within Westminster. The placement has not only let me practice things I have learnt on the course but developed my skills a huge amount as well. During my role I was given responsibilities like dealing with clients and third party stakeholders. 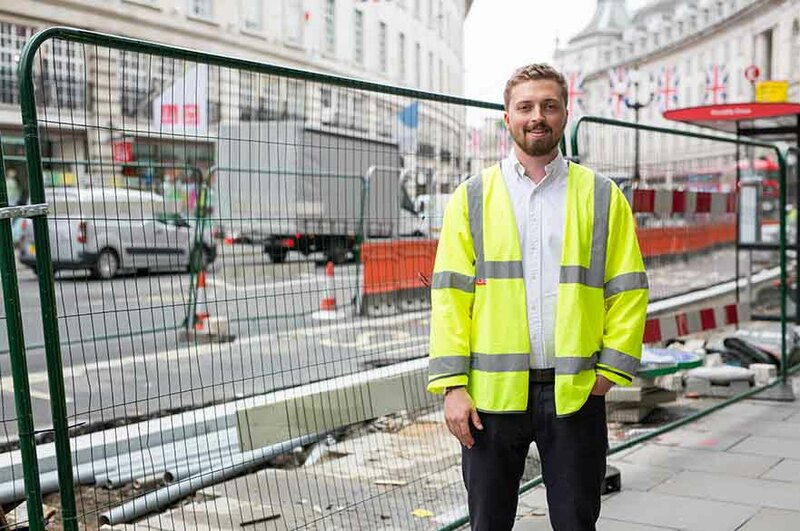 “On my placement I’ve been involved on the complete redevelopment of Bond St. in London. This has been interesting as its very client orientated with lots of stakeholders to keep happy, meaning there have to be a lot of compromises in the design. “The greatest skill I’ve gained is commercial awareness and being able to understand the factors which affect engineering projects. Having knowledge of things like cost and stakeholder limitations can speed up the design process when these are taken into account at an early stage. Understanding how drawings are used to communicate information to different parties is important; as well as early communication between designers and contractors. Want to find out more about studying Civil Engineering at NTU? Find an open day and register your place.